If you’re here, you probably hate dieting. 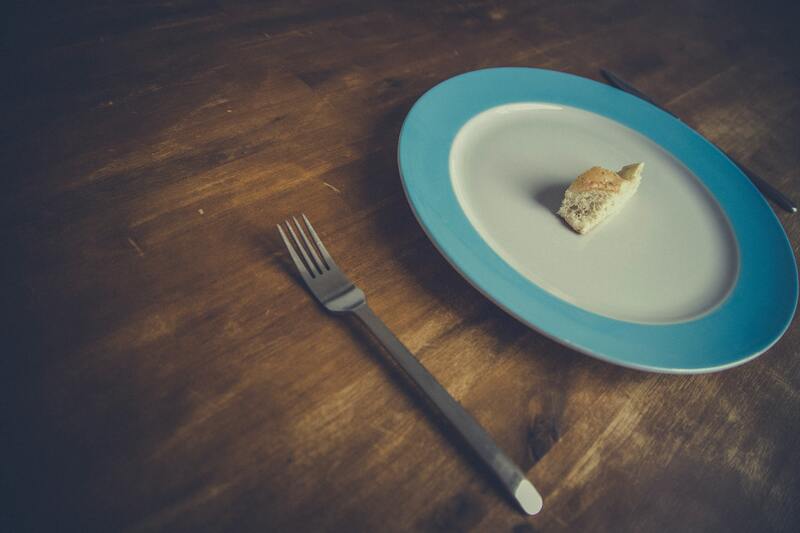 For many people, simply the word “diet” brings feelings of misery. No wonder so many people fail! But it doesn’t have to be this way. If your goal is to make long-term changes to your body composition, then yes, you need to accept the principle that unless you have some type of medical condition affecting your metabolism, you need to use more calories than you get from your food. This is called a caloric deficit. It’s real, it works, and science has backed it up forever. But losing body fat doesn’t have to be severe dietary restrictions and starvation. If you make smart nutritional choices, adopt healthy eating habits, and incorporate enough exercise, you can still eat the foods you like, and make long-term improvements to your body composition. Seriously. Let’s take a look. Going on a diet usually means eating less than you usually do, but losing the unwanted fat you gained over time doesn’t mean you have to stop eating, skip meals, or starve yourself. To illustrate, let’s take a look at what happened to a group of people who actually were starved: the participants of Ancel Keys’ famous Minnesota Starvation Experiment. If you’re unfamiliar, here’s a brief history lesson: In the 1940s, the Allied powers were pretty sure they were going to defeat Hitler in Europe, and they needed to know how to deal with a starving European continent once the war was won. In order to do that, they needed data on what happens when people starve and are later re-fed. 36 healthy volunteers were selected to go on a yearlong starvation experiment that consisted of 3 months overfeeding, 6 months near-starvation, and 3 months refeeding/recovery. Did they lose weight? You better believe they did: roughly 25% of their body weight, gone in 6 months. What happened here? How did they lose so much body weight so quickly? The same way everyone loses body weight: by being in a caloric deficit. However, the deficit the experiment participants experienced was very extreme. After adjusting their bodies to 3 months of a 3,200-calorie/day meal plan, their diets were uniformly slashed to 1,570 calories a day, a reduction of about 1,630 calories. But they weren’t allowed to just sit around; the participants were further required to walk 22 miles a week AND expend 3,009 calories a day. We’ll do the math for you: that’s a caloric deficit of nearly 1,500 calories a day, or 10,000 calories a week. You don’t want any of these effects, nor do you need to experience them. A caloric deficit of approximately 500 calories/day has been shown to be effective, especially for initial fat losses. Calculate the number of calories your body burns at rest, also known as your Basal Metabolic Rate (BMR). Online calculators exist that will estimate this for you, and some methods of body composition analysis can also estimate your BMR. Take your BMR and multiply it by 1.2 (this being the conversion rate for a sedentary person. If you have an active job or already exercise and are maintaining your weight, you’ll multiply it by a higher factor). For example, let’s say your BMR is 1631 calories; a rough estimate of your total caloric needs would be around 2,000 calories to maintain weight. Shave off 500 calories for the caloric deficit, and the caloric balance each day to lose a pound of body fat per week will be around 1,500 calories a day. Now here’s the part where you get to make a decision by choosing a calorie-reducing strategy that works for you. How will you create this 500-calorie reduction? You really do have a choice in the matter. In a study of overweight people, participants were made to create an overall 25% energy reduction. The first group achieved this reduction entirely through caloric restriction; the other achieved it with a 12.5% reduction in food intake and an increase of 12.5% in energy use due to exercise (equaling a 25% reduction in energy). Both groups lost 10% of their body weight and 24% of their Fat Mass, with the researchers concluding that it didn’t matter whether you simply cut calories or cut calories and exercised: what mattered was the total energy deficit. This isn’t to say that effort the exercising group made was completely useless – the researchers found aerobic benefits to their exercise – or that strength training should be avoided during fat loss since it’s been shown to preserve muscle. What it does mean is for fat loss, you have some choices on how you want to achieve it. For example, if you already feel like you are eating very little, cutting 500 calories from your meal plan might be extremely difficult for you. You can make up the bulk of your caloric reduction by increasing the energy you expend throughout the day. You could also go the alternate route. If you think you can the bulk of your calories from your meal plan without with a small increase in the exercise you already do, that’s also an option. The point is when it comes to weight loss, one size doesn’t fit all, and if you follow a program that isn’t designed for you and is too hard to stick with, the chances you’ll quit are high. Don’t just cut everything you’ve ever enjoyed eating out of your life with a buzzsaw. It’s not completely necessary and can actually work against you. Think of your daily caloric intake as a budget, and your caloric deficit is the “money” put away for a vacation. If you stay within your budget, after a period of saving, you get to go on a trip. So long as you stay within your budget, it doesn’t always matter how you spend the rest of your money. So it is with calories. You don’t have to cut out everything you like to keep your diet, and here are a couple of truths that can keep you motivated. 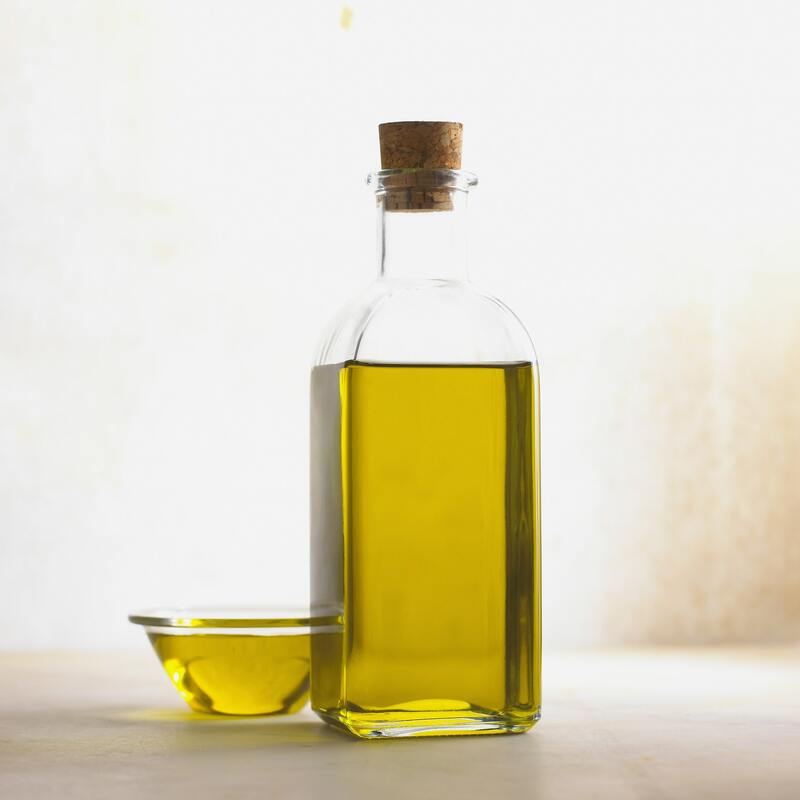 For decades, it’s been common knowledge that a high-fat diet leads to obesity. Fat used to be at the top of the food pyramid, something that you ate only sparingly. Well, it turns out that those high-carb/low-fat diet rules may have been sabotaging your efforts for years. While this doesn’t mean you can overeat fatty foods, this does mean it’s OK to incorporate healthy fats in your diet and still reach your goals. Bring on the avocados and olive oil! (just be careful about the high-calorie foods – you still need a caloric deficit). Often dismissed as a concern of bulky bodybuilders and powerlifters, eating foods high in protein can actually go a long way in helping you lose fat properly. That’s because foods rich in protein have been shown to have a positive effect on feeling full. 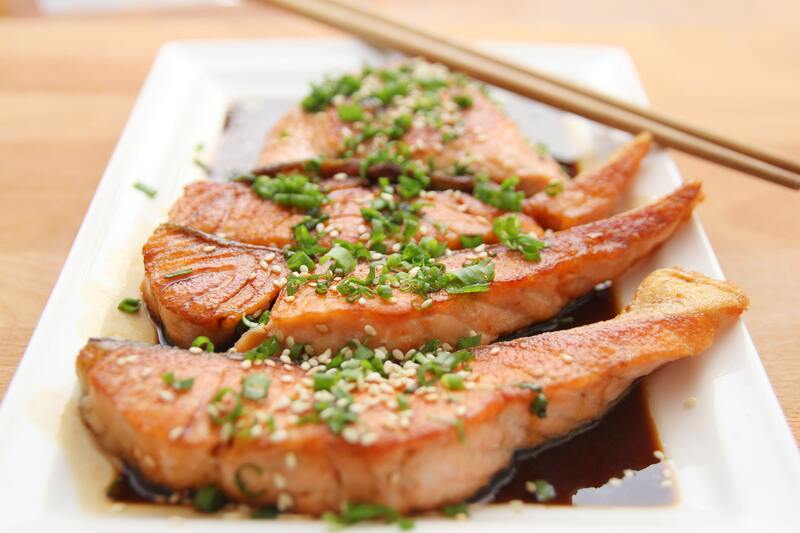 If you include healthier, protein-rich foods in your diet, you might have an easier time sticking to your diet while you enjoy meat, fish, eggs, and other protein-dense foods. You will hate dieting if you go about it the wrong way. What’s the wrong way? Going too extreme on any part of it. You do not need to starve yourself and then slave away at the gym. Even though reaching rapid weight loss goals might sound appealing, if you actually go through with it for an extended period of time like the participants in the Minnesota experiment, you can wind up feeling depressed, tired, and unmotivated. Remember those participants committed to their diet full-time because it was their way of contributing to the war effort. You can find a nutrition plan/exercise balance that works for you and your lifestyle. For some people, dieting alone may be effective, but these people more than likely have increased metabolisms because they have a lot of muscle. Trying to lose fat by purely cutting calories can be very difficult if you have a smaller metabolism. Instead, strike a balance between diet and exercise. You do not need to go on an extreme diet where you skip meals or cut out an entire macronutrient group out of your diet (some people demonize fat; others, carbs. You need both these nutrients). 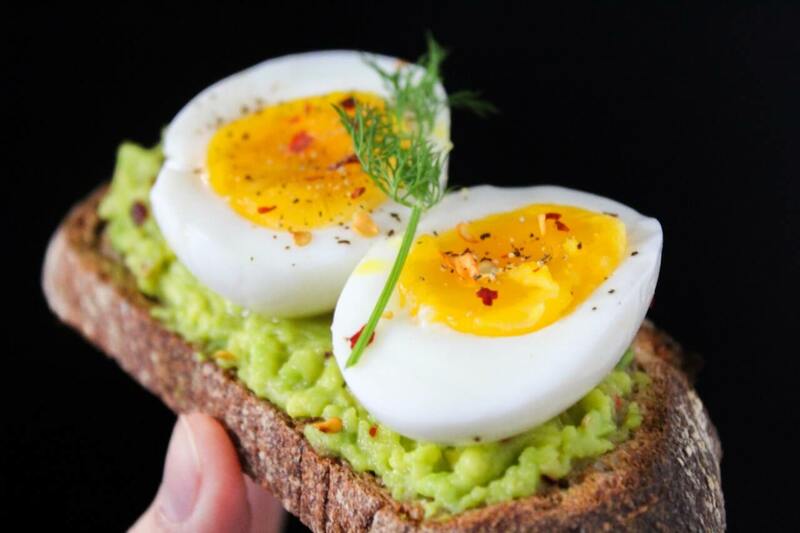 While low-carb diets have been shown to be an effective plan for weight loss, this doesn’t mean you have to go on an Atkins-style diet and cut out your morning whole-grain bagel. It’s not a sustainable long term nutrition plan and will likely make you feel miserable in the long run without these vital nutrients. It may take a little bit of planning to find a diet that works for you, but if you’re looking to make positive changes in your body composition and lose fat, bear these things in mind, stick to them, and you will start seeing results! If you recently decided to focus on losing excess weight, you probably noticed a small burst of motivation after choosing what your diet and training plans would look like. That sense of finally moving in the right direction…it can be pretty exciting. And it should be! Make no mistake: making healthy choices about the quality and quantity of the food that you eat is a huge part of becoming a healthier version of yourself. But the reality is the actual long-term success rate of diets is dismal. Sometimes people dive into their diets only to give up on them within weeks. What’s worse, studies have shown that only 1 in 5 people are successful at keeping the weight off in the long run. That means 80% of people fail to achieve their health goals. Is it simply a case of a lack of discipline? No! A lot of people are making mistakes, and without proper guidance and education, chances are you too may end your fitness journey frustrated. So without further ado, let’s take a look at the most common reasons that diets fail and explores strategies to help you push through those barriers and get closer to becoming a happier, healthier you. Having a dietary plan in place is a great place to start–as long as you have realistic expectations and clear goals. Now, before we dive into this, let’s get one thing out of the way: ideally, health and wellness is a journey, not a destination. The pursuit of a healthier mind and body is something that never truly ends and should simply become a way of life. But…embracing that way of life isn’t easy. And expecting someone who’s never had to worry about nutrition or training regimen to become a health nut overnight is unrealistic. That very mentality is the foundation for why so many diets fail (but more on that later). The average first-time dieter is going to be looking at an uphill battle. Yes, they’ll have to combat all of their old habits and temptations. And sure, making a health-oriented lifestyle second nature is a tall order. But if we really want to know what really ruins people’s efforts, we need to take a look at the glaring flaw in most nutrition plans: the lack of clearly defined goals. It may sound obvious, but many people begin fitness journeys with only the vaguest of goals, which sets them up for potential failure, especially in the long-term. If you ask the first-time dieter, they might say that they want to lose 20-30 pounds or ‘look good in a swimsuit’ in 30 days. Setting these types of goals are a common mistake. Most people typically don’t have reasonable expectations on how long it will take to make substantial changes. By setting unrealistic, vague goals you are setting yourself up to fail. If you want to ensure your success, you need to understand not only where you stand right now in terms of body composition, but where you want your body composition to be in the future. To put things simply: how can you expect to hit a target when you don’t know exactly what you’re aiming for? That’s where an understanding of your body composition comes in handy. Once you understand how much Lean Body Mass and Fat Mass you have, you’ll be in a better position to tackle the next important question: which do you want to address first? Your body will have an unique response to different programs. Whether you decide to focus on fat loss first or developing Lean Body Mass, the key is that you create a goal-oriented plan that can keep you on track. Additionally, dieting is more than just figuring out what you should be eating. The ideal diet has to be paired with a series of realistic, achievable goals that you can measure. What gets measured gets managed, and vague goals are the bane of any successful training plan. The more well-defined your goal is, the easier this journey will be for you. Instead of saying you want to ‘get stronger’, focus on gaining 5 pounds of muscle. Instead of wanting to ‘look good in a bikini’, focus on losing 10 pounds of fat. Not only does this help as a way to keep you motivated and consistent throughout the process, this subtle change in mentality can actually have a massive impact on the overall effectiveness of your training. You’ll be able to avoid increasing your Fat Mass while adding those extra 5 pounds to your Lean Body Mass. On the flip side, you can avoid losing muscle (which can have some pretty disastrous consequences , even more so as you age). The real power of keeping track of your progress is that you’ll constantly be aware of what’s working, what isn’t, and how you can improve. So now that you’re tracking your body composition, you’ve clearly defined a goal and you’ve chosen an approach. These are all powerful concepts, but the glue that will hold them together is the use of milestones en route to that goal. Milestones matter because they help you celebrate small successes on your fitness journey. They’re the answer to the question of ‘how do I keep myself on track for the next 3 months?’ Losing 10 pounds of Fat Mass is going to take quite a bit of work and time, so it helps to track smaller accomplishments along the way. When you create a list of milestones, you’ll have built a roadmap for your fitness journey. Once you understand what your goal looks like, each milestone can be used to keep you charging in the right direction. Beyond that, they give you the opportunity to make health and wellness second nature over time. What do realistic milestones look like, from a body compositional standpoint? These will vary for everyone, but generally speaking, someone who creates a caloric deficit of 500 calories per day (a 3,500 calorie weekly deficit) stands to lose 1 pound of body fat per week, or 4 pounds a month if the diet is “perfect” all month. It gets tricker to set muscle milestones, because there are so many factors that contribute to effective muscle gain. However, assuming you’re new to muscle-building, one realistic estimate is that you can add about two pounds of muscle per month, with this number decreasing over time as you continue to lift. If you really want to make being healthy a habit, create a series of milestones and you’ll have more than the undeniable proof that what you’re doing just isn’t working–you’ll be on your way to making health a priority in your life. There’s nothing wrong with dreaming big when it comes to diet and exercise. We should all strive to want to be the strongest, healthiest versions of ourselves. However, envisioning something for your future and expecting it virtually overnight is not a recipe for success. Many times people aspire to some idealized expectation of perfection, and so they set unrealistic goals, like dropping 30 pounds in 2 months. This is a mistake. By nature, diets tend to be restrictive. In fact, most diets are designed with the intent of planning out each of your meals for you. The idea is that by erasing the need to think about what your next meal will look like, you’re more likely to make the right choice and stick to your diet. Of course, that works perfectly well on paper. But in the real world, it’s hard to be perfectly consistent. The reality is mistakes will be made, and that’s OK. Your birthday/anniversary is coming up. Grandma will be offended if you don’t eat her famous chocolate cake. Or you are stuck at a event that lacks healthy food choices. These are just a few situations that diets aren’t really designed to account for. Unfortunately, a cheat day can quickly turn into a cheat week and slowly but surely, people are completely off track. Think of this as the ‘New Year’s Resolution Effect’. Trying to take on too much, too soon is tough enough, but expecting everything to go perfectly according to plan can be a recipe for disaster. This expectation of perfection is more than just unrealistic. It has the potential to undermine the average person’s health journey and, worse, make them think that they’re incapable of dieting properly. So, how do you avoid this dieting trap? Simple: stop expecting perfection. To clarify, if you want to have a successful diet, stick to the script as best you can. But the occasional cheat day won’t undo weeks or months of training and dieting. You need to be willing to forgive yourself for any mistakes that you make along the way. Just remember that moderation is key here. A cheat day once a month is one thing, but a cheat weekend can get out of control quickly. Once that cheat day is over, you need to be ready to tackle tomorrow with the same intensity as before. This is arguably the easiest mistake to make when it comes to your health and wellness journey. And the worst part? This issue might seem minor, but it can have a massive impact on your results. So, what is this mysterious issue we keep alluding to? Imbalance. One of the most common issues that you’ll notice with a person just getting started on their fitness journey (and even seasoned veterans) is a lack of balance between diet and exercise when it comes to their approach. Some people are guilty of making their diet a priority and neglecting their physical training. Others are guilty of putting all the focus on their physical training without paying too much attention to the quality of their diet. No matter which side of the imbalance an individual is on, that person’s results and progress will suffer. Without proper training, expecting your body to increase lean body mass and decrease fat mass by itself is wishful thinking, at best. Study after study has shown that the most effective way to help your body build lean mass and lose fat mass is through a regularly implemented strength training regimen AND an optimized diet. For those of you who think they can just start some type of exercise plan and see results, think again. If you want to hit those milestones that you’ve planned out and actually improve your body composition, you’ll need to have a diet that allows you to improve it. Specifically, you need to be following a diet that falls in line with your current body composition and body composition goals. How can you do that? We’ve covered the BMR (Basal Metabolic Rate) hacking approach in-depth before, but here’s the abridged version: By determining your BMR using your Lean Body Mass, you’ll be able to calculate how calories your body needs on a daily basis to keep you alive. This is critical. Once you have that information, you can start thinking about your caloric needs in terms of planning a diet by converting your BMR into your TDEE (Total Daily Energy Expenditure). Your TDEE is a general estimate of how many calories you body uses during the day, and you can use it to plan out your diet. Are you trying to optimize your diet for weight loss? Then you’ll need a caloric deficit. Trying to gain Lean Body Mass? You’ll need to go beyond your typical caloric needs. Knowing your body composition and having a clearly defined goal means that you can use tools like BMR diet-hacking to get results sooner and more consistently than ever before. Keep in mind that building new habits and improving your health is not going to be simple. Even if you’re able to take these lessons to heart and overcome these three common obstacles, you’ll still face unexpected difficulties. Dieting, training and the overall journey towards becoming a healthier you will almost certainly be a challenging experience. But if you’re ever in a tough spot, keep in mind the overall theme of these solutions. People make mistakes and poor choices. And change is anything but easy. Accepting how hard this journey is going to be is the first step to actually completing it. The second step? Realizing that you CAN do this if you set yourself up for success and arm yourself with the knowledge to reach your goals. Just one piece, you think. It’s been a long day, and you’re craving chocolate. And you know there’s a bag of dark chocolate waiting in the pantry for you. So you decide to eat just one to take the edge off of your hectic day. But 15 minutes later, you’re sitting in front of the TV with an empty bag and a full stomach. You needed something salty to balance out the sweet, so you popped open a bag of chips to eat, too. Most people binge occasionally, and it’s nothing to really be ashamed of – food tastes good, and self-discipline isn’t always easy to maintain. While not everyone who binges occasionally has full-fledged binge eating disorder, many people do show signs of food addiction. 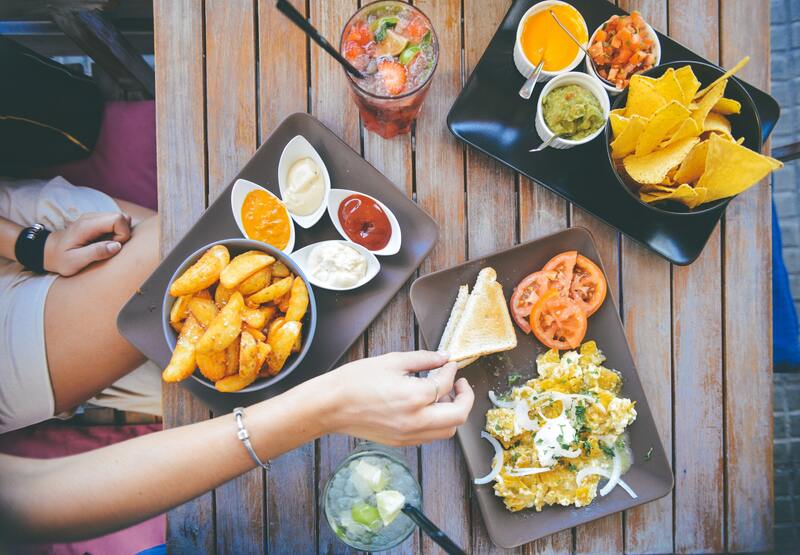 Food addiction is characterized by symptoms including loss of control over the consumption of food, continued intake/binging despite negative consequences, and the inability to cut down despite a desire to restrain/refrain. It is a relatively new and somewhat controversial topic because there isn’t conclusive scientific evidence that clearly identifies the addictive properties of foods. The main problem is that food supports life and everyone eats, which prompts many professionals to discount the concept. Rather than assuming that all foods are addictive, some scientists propose that certain foods are more addictive than others, especially foods rich in fat and/or sugar. These calorie-dense and delicious foods typically are the ones that become self-labeled “bad” foods. This often leads to causing a restriction/avoidance response that may be followed by a binge cycle, which then results in cyclic overeating– which can be classified clinically as an eating disorder. It is often considered that for both mental and hormonal health, overeating may have its benefits; however, if it becomes a cyclic issue, food addiction can damage your metabolism and cause negative changes to your body composition. Your body composition is the balance of fat and fat-free mass (like muscle and bone)- you need to keep these two variables balanced in order to reduce your risk of various health conditions. This is why important to understand how cyclic overeating can affect your body composition- it can negatively impact both weight and health goals. Why are people addicted to food? If you’ve ever wondered why it’s so hard to stop eating your favorite snacks, you’re far from alone. Susceptibility to food addiction is somewhat genetic, but many modern foods are also engineered specifically to make you want more. These “hyperpalatable” foods are concocted by flavor chemists in a way so that they surpass the reward properties of traditional foods. In other words, eating a potato chip will release more reward centers in the brain than eating a baked potato. Salty, fatty and sugary foods tend to be the most addictive types of foods. In fact, though the scientific evidence isn’t quite conclusive in humans, sugar is thought to be as addictive as many drugs. And it doesn’t help that food addiction involves the same areas and many of the same chemicals in the brain as drug addiction does. But it’s not just that modern foods are engineered to taste good: To binge is to be human. 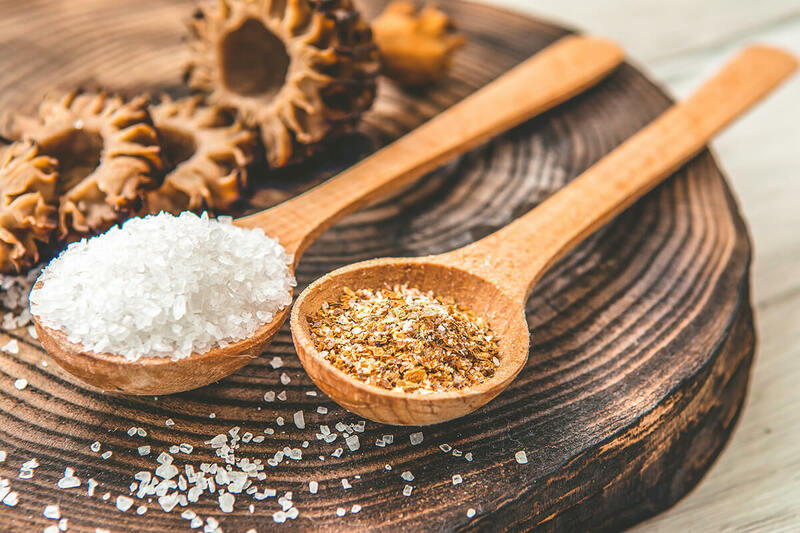 We are hardwired to love the taste of fat, salt, and sugar because those nutrients were calorie-dense and provided energy storage that aided in survival before we had food as we know it today. High-calorie, fatty foods gave our ancestors the energy reserves needed to survive famines. Salt increases water retention, which helped them stave off dehydration. And our preference for sugar helped lead us to nutritious fruits and berries. Humans’ natural preferences for these flavors and textures were once essential for survival. But in a world where palatable foods are readily available and often inexpensive, those preferences can become unbeatable cravings. Often, we eat food just because it’s there and it tastes oh so good. Unfortunately, humans haven’t quite figured out how to deal with the excesses of modern living. And this is why we can’t count on our instincts alone to maintain a healthy body weight—it requires constant and conscious effort. A healthy, balanced body composition requires a balance in the intake of both micro and macronutrients. When we overeat, we expose ourselves to the risk of various diseases due to excess body fat and changes in our hormones. Every meal you eat – regardless of macronutrient composition – triggers dopamine release. Dopamine is a feel-good chemical associated with feelings of happiness and reward. However, meals higher in fat and sugar tend to trigger larger releases of the hormone. When you overeat, especially those kinds of foods, you probably tend to feel fantastic… at first. 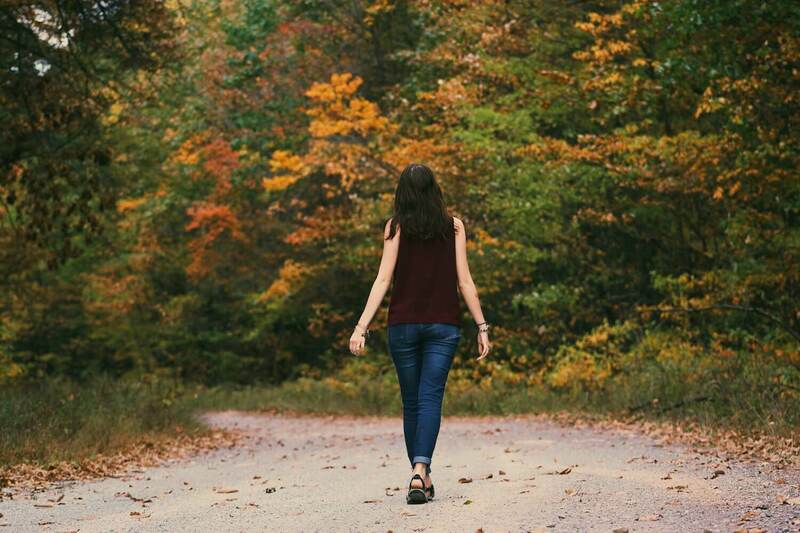 When the rush of a binge wears off, most people experience an overwhelming and uncomfortable fullness, accompanied by a side of guilt or shame. In addition to those unfavorable emotional effects, some pretty unfavorable things are going on inside your body, too. First, binge eating is usually characterized by fast and uncontrolled eating, which can be detrimental to your metabolism and your heart health. This uncontrolled food intake is associated with obesity and future susceptibility to metabolic syndrome, a condition that often leads to cardiovascular disease. Second, with binge eating, your pancreas goes into overdrive, releasing larger-than-normal amounts of insulin. This can lead to insulin resistance which, in the long-term, can be harmful to your metabolism. When you suffer from insulin resistance, your cells don’t absorb nutrients as they should and you end up prone to a host of conditions including obesity, high blood pressure, heart disease, and more. After a binge, your system is overloaded with a rush of calories, sugar, and fat. In addition to causing hormone and energy levels to fluctuate, this significant excess of calories promotes fat storage, inflammation, and digestive discomfort (think bloating and constipation). These nearly instant consequences aren’t exactly favorable, but the outlook gets even worse if overeating is consistent. Cyclic binging results in hard-to-reverse changes to metabolism. Hunger and fullness cues are thrown off, making one think they’re hungry when you’re not and causing you to overeat further. Dopamine becomes down-regulated, meaning you need more food to feel the same amount of pleasure as, say, a few months ago. Changes in leptin levels promote further fat storage. Your gastric capacity can increase, which means you may need more food to feel full. Additionally, you can disrupt your circadian rhythm and induce depression: two factors that make it a lot easier to want to stay in bed all day, avoid exercise, and eat even more junk food. You can probably gather how all of these consequences combined can drastically alter your body composition for the worse. If prolonged, cyclic overeating can cause negative changes to body composition such as increased fat mass- this leads to an increased risk for the development of long-term health and disease risks. It’s no surprise that a common and powerful trigger of binge eating is restrictive dieting. This type of selective diet is a feasible weight-loss method in the short-term because such a controlled program of calorie intake makes it easier to prevent overeating. The problem is that extreme restriction is not sustainable. If you’re like most people, you can only say “no” to your favorite foods for so long. Though common, restrictive dieting isn’t the only reason people binge. Many people use food as an emotional crutch, overeating when they have high-stress levels, are bored, sad, or excessively tired. Our brains and bodies are already conditioned to crave addictive foods. When we want to get our minds off of something, cravings can become overpowering. You might think that being addicted to food isn’t the worst thing: At least you aren’t addicted to drugs, right? While that’s a valid justification, food addiction is still an addiction and ridding yourself of addictive behavior toward any substance – even food – will improve your quality of life all around. Overcoming food addiction comes with physical health benefits in addition to an improved mental health state, namely reduced risk to diseases and improved body composition. Recognizing that you have addictive behaviors and thoughts about food is the first step in the right direction. Wanting to change your diet for the better is a good thing for both mind and body. Fortunately, there’s a better way to eat healthy than confining yourself to a short list of “good” foods. Instead, you can occasionally eat all the foods you like- as long as you are balancing your diet and regulating portions. This is a great way to control bingeing: If you never feel deprived of foods you like, even sugary treats, you’re less likely to develop an uncontrollable desire to obtain those rewards to the brain that these foods can provide. If that method doesn’t work for you, you can actually train your taste buds to like whole, natural foods as much as they like processed ones. It’s a sad truth that most of us are desensitized to the sweetness of fruit due to excessive amounts of dietary sugar, but it can be undone. Another tactic is “crowding out” – instead of focusing on what you can’t have, focus on eating enough healthy foods that you don’t even have space for binge-worthy ones. Remember that it’s often the volume our stomachs want, not the calories. If you fill up on meals chock-full of nutrient-dense fruits and veggies, you’ll be way less likely to binge later on. 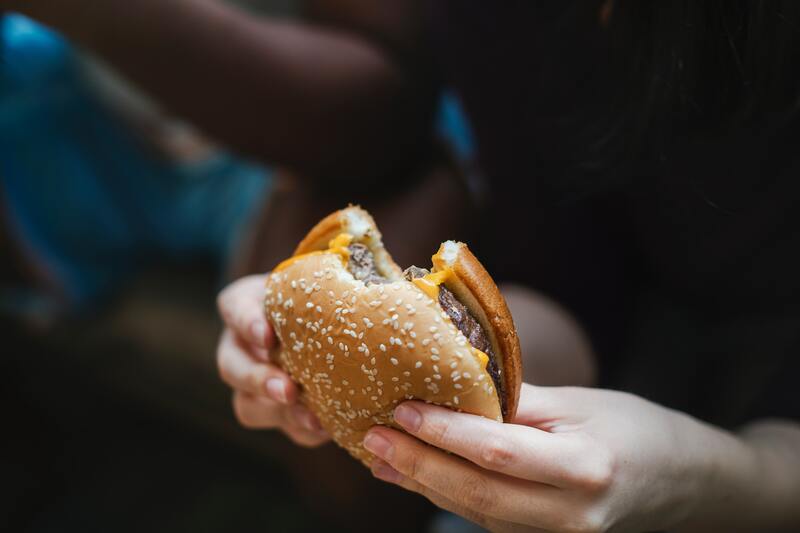 Some scientists suggest quitting junk food cold-turkey, but for many people, that method just increases the risk of the restrict-binge cycle. You should take the time to identify trigger foods: those “can’t-have-just-one” foods. For many people, trigger foods come bagged or boxed and are easily over-eaten because they pack a lot of calories into just a few handfuls. Any product that causes you to feel a loss of control while eating – no matter how slight the feeling is – is a trigger food. Food journaling can help you identify triggers. Try keeping a meal (and snack) log for a few days and write down how you feel after eating each meal or snack. It can be as simple as one word. For example, writing “sluggish” a few minutes after eating a chocolate bar as your afternoon snack. See that enough times, maybe you’ll realize the reward that you get when eating the chocolate isn’t worth the feeling you get afterward. Meal prepping also helps exponentially because it results in less decision-making for you. Plus, you probably won’t want to waste the food you spent time, money and effort to prepare. Different methods work for different people, so spend some time experimenting to find the best tactics for you. Remember, binge eating is something that is controlled by your brain. Creating healthy eating habits and replacing some of these “rewarding” behaviors can help you overcome the binge eating process. Understanding the changes that happen to your body when you overeat is helpful for making healthier decisions. Food addiction and compulsive overeating lead to a whole host of problems, both mental and physical, that can permanently alter your health habits. Weight gain, changes to your metabolism, hormonal fluctuations, and changes in the size of your organs are all effects of cyclic overeating that can lead to an unfavorable body composition and long-term health risk. It’s easy to point fingers at big-name manufacturers, but before people realized what processed foods were doing to our health, it was all well-intentioned business – make better food, make more sales. Now that we know the consequences, however, many brands are changing their practices and procedures to put out healthier products. Being aware of these healthier food products and paying attention to what you eat can help you overcome addictive behaviors toward food. 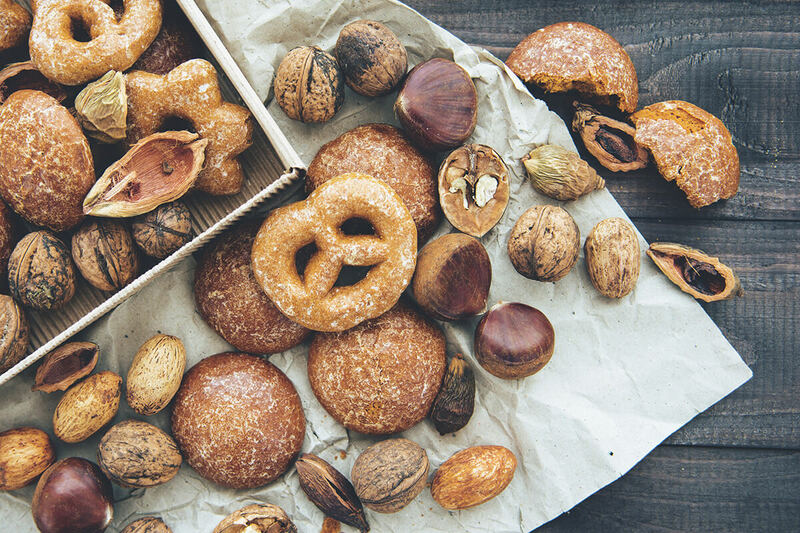 Identifying trigger foods and emotional factors – such as stressful day at work or a fight with your significant other – can also help you overcome the urge to binge. Remember that what works for one won’t always work for another. Some people find success in restricting and even eliminating trigger foods from their homes completely, while others can learn to enjoy them as an occasional treat by finding activities they enjoy to take the place of binging. For example, next time you feel the urge to finish a sleeve of Oreos, go outside and take a walk. On your walk, think about all the possible reasons why you might want those cookies. In time, you’ll come to some realizations and conclusions about your food behavioral choices. Amanda Capritto is a certified personal trainer and health coach who writes about nutrition, fitness and healthcare. A journalism alumna of Louisiana State University, Amanda spends her free time adventuring outdoors, hitting the gym, and encouraging people to live balanced, healthy lifestyles. This article originally appeared on the Isolator Fitness blog and is reposted here with permission. To view the original, click here. No Preservatives Added Will not contain chemically added preservatives. Once upon a time, if a customer wanted to buy a product, they went to a store near them that carried the product and bought it. The customer was happy: they got what they needed; the store was happy: they made a sale. The happy customer returned again, the store made more sales, the business grew, and everyone was happy. A warm and fuzzy fiction, isn’t it? Sadly, in the ultra-competitive, marketplace of the 21st century, that’s all this story amounts to. That’s because in the 21st century, online shopping, driven by the explosive growth of smartphone and app technology, has made shopping from home incredibly easy. Online shopping, or e-commerce, affects every type of industry and retailer across the board. That includes the nutrition industry. At first glance, the nutrition/health store industry seems stable: according to market research conducted by IBIS World, the annual growth rate for physical, brick-and-mortar health stores in the US grew by 3.4% from 2010-2015. However, in the same period, online sales for the same products grew too – and not just a little. According to IBIS World, online vitamin and supplement sales grew by 12.3%; more than triple the growth of physical stores. With bigtime vendors such as Amazon, Bodybuilding.com, and Iherb.com weighing in on the market, it’s hard to be surprised. That marginal growth isn’t going to last forever, especially in a world where Amazon is promising aerial drone deliveries direct to your doorstop in 30 minutes or less. Why get in the car when you can get exactly what you want from your couch, anytime you want, delivered via air in less time than it takes to drive to your store, shop, and drive back? Simple: because at your store, you can offer something that no faceless website or mechanical drone can ever hope to provide. Superior customer service from a real person who is an expert on nutrition, offering personalized counseling, advice, and service that your customers will never be able to get online. Even with the internet, your customers still crave that face-to-face interaction and expertise, if you can provide it. A study by NICE Enterprise Group recently demonstrated that in terms of customer satisfaction, people strongly favored either speaking to a real person at their location (44%) or on the phone (60%) over many digital channels, including website (39%), social media (1%), smartphone apps (6%), and email (9%). Still, even if you are the most well-respected expert on nutrition in your local community, you can’t provide superior customer service without something driving traffic through your door. You still need a reason to get people off their couches to come talk to you. What can be that traffic driver? Offer body composition analysis tests at your nutrition store. What is body composition analysis? What does that have anything to do with customer service? Body composition analysis is a method of determining what makes up your weight: muscle, fat, bone, and water. And whether your customers realize it or not, they’re already coming to your store to optimize their body composition. Most of them want to change their body composition by gaining muscle or losing fat (and probably both). Now, by looking at their body composition results, you can guide them to exactly the right product on your shelf to help them reach their goals quicker. What this amounts to is this: you’re providing each customer personalized 1:1 attention and offering them solutions so that they can meet their individualized goals. How can you test for body composition? Although there are many ways to test body composition, there is only one practical method for in-store testing that’s accurate, reliable, and gives you enough information to make the right recommendations. That’s body composition testing using bioelectrical impedance analysis (BIA) technology. For nutrition stores, it’s the ideal choice. These devices are small and can be easily set up in a retail store. They also perform tests automatically, typically under a minute or less. Best of all, they don’t require any pinching or poking of your customer, like what happens when you use skinfold calipers. No one is going to come to your store to get pinched and poked. What information do you get from a typical BIA body composition test? If you’re an InBody customer, you will have access to additional information such Skeletal Muscle Mass (what most people refer to as just “muscle”) with a graph showing if the amount is under, over, or within the normal range for that person’s body. You and your customer probably don’t need a body composition test to determine if they are overweight. Your customers probably know this already, and this can be identified on the graph if the bar for Weight extends into the range under the “up” arrow. What your customers may not know, however, is if they are underweight. This can also be identified on the graph by checking if the bar ends in the range under the “down” arrow. You can also provide extra value to your clients by showing them where their Lean Body Mass is located and how developed they are from both an upper/lower body and right/left body perspective. InBody clients can also reveal their a customer’s Basal Metabolic Rate (BMR), which describes how many calories your customers need to keep their bodies operating at their full potential. With BMR, you can quickly determine how many calories your customer needs to gain/lose weight based on their activity level. With that information, you can start crafting customized diet plans based on your customer’s unique body composition and recommend the exact products. If you’re interested in that, you can read this complete guide to using BMR to creating diet plans. Here are a couple situations where you can provide excellent customer service, build lasting relationships with your customers, and help your business grow. Action: After hearing what your new customer’s goals are, you tell them that you’ve got a pretty good idea of what products might work for them, but in order to be sure, you offer them a free body composition test, just as a thank you for walking in. You can mention to them that you usually charge a fee for this service, but for first-timers, you give it to them on the house thanking them for considering your store. From this graph, you notice that this customer is underdeveloped in Weight, Skeletal Muscle, and Body Fat. You can make the recommendation that because this person’s Fat Mass is already low, they just need to focus on gaining weight and muscle. You can recommend that in addition to whey protein, that they also get a weight-gaining product to increase their calorie intake to ensure they have the nutrients to perform at the gym. Results: A first-time customer walked into your store thinking that they were only coming in for whey protein, and walks out with a body composition test, whey protein, and weight gainer. Not only that, they walked out feeling like they made the right choice because you took the time to get to know them and offered them exactly what they needed to hit their goals. They walk away happy because they feel like they just unexpectedly got great customer service, and you’re happy because you just potentially doubled your sale from what you would have sold before, AND you ensured that that customer will be a repeat customer. Scenario: In order to build traffic to your store, you create and advertise a fat loss challenge with weekly weigh-ins to track progress. The challenge can go for as long as you like, and the winner gets a gift card to your store. Action: You advertise to your customers that you’re going to be holding a fat loss challenge: whoever can lose the most pounds of fat in 8 weeks wins a big gift prize to your store. You charge a small entry fee for each participant that will cover a free body composition analysis – one a week, at each weigh-in – during the competition. Every time one of your customers comes in for a weekly weigh-in, you can comment on their progress and offer recommendations that might help them win the contest. Imagine this person lost half a pound of fat over 2 weeks. You tell them you think they can do better if they make a couple changes in their diet. You recommend that they introduce a fat-burning supplement to help them stay focused and increase their metabolism. 6 weeks later, that person you helped wins the contest. Results: By holding a fat loss contest and charging a small fee to participate, you’re guaranteeing traffic coming into your shop every week. They’ll want that free body composition test, and they’ll want to know if they’re on the track path to win. Every time someone from your contest comes in, you’re creating another opportunity to offer exceptional customer service by analyzing their results. When you analyze their results and make recommendations, you’re creating new opportunities to potentially sell more products. But selling products will just be an extra bonus. What you’re gaining is something even more valuable – a reputation of expertise and customer service. Your customers have friends, and they talk to them. By offering fun, exciting, and educational that they can only get from your store, you’re creating more traffic for yourself, increasing your revenue and growing your business. If you really want to drive traffic and growth for your nutrition store, get out from behind the counter and go out to where your customers are using your products – their gym. 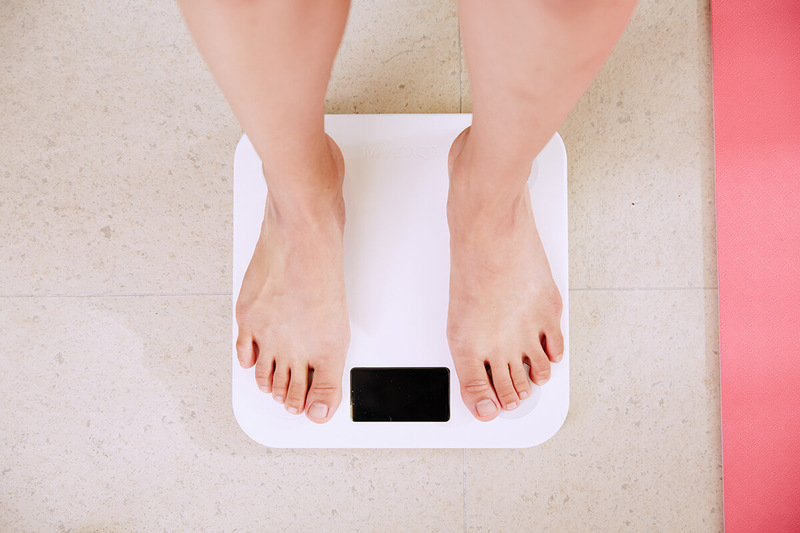 If you’ve got a body composition analyzer, you can use it as a bridge to get you connected with business owners in your local area. Here’s how. From one of your customers, find out if you can get introduced to the person who runs their gym. When you meet with a local gym owner, you can propose a mutual cross-promotion arrangement where both of you can improve the image of your respective businesses. It might go something like this. You bring your body composition analyzer to a gym on a set day. The gym owner can advertise your arrival to their members prior to your coming on that set day. What you’re there to do is test as many people as possible for a fee. Create a profit-sharing plan with the gym owner at whatever arrangement works best for the both of you. Another arrangement could be that you bring samples of your products and promotional material for your shop that you can hand out when you give the body composition tests. Don’t sell your products at the gym unless that’s been agreed to by the gym owner. Why This Benefits The Gym Owner: Your partner gym owner gets to use a body composition tool and provide it to his members at absolutely no charge. In fact, all he has to do is say yes, and he makes money. On top of all that, now it’s the gym owner that’s providing excellent customer service because of a service you provide. Your partner gets to build rapport with his customers, ensuring that he retains his members continue paying their memberships, building his reputation in the community. All of that costs him nothing, and what remains is more money for him and a new, profitable partnership with you. Why This Benefits The Gym Members: The gym members get to have their body composition analyzed and interpreted. If you decide to give away free samples, then they’re getting free stuff too. Why This Benefits You: You get to expose your services to a whole new group of potential customers, and you get to do it in the place where they are most receptive to hearing about health supplements – their gym. You get your name out in the community, and you can get people interested in coming to your store to buy your products. You’ll be driving traffic to your store. You also get to benefit from what can be a valuable and profitable partnership with a local gym owner. Because your businesses complement each other, there are many creative ways you can cross-promote your two businesses to the benefit of both. One advantage of this strategy is that it is scalable. You can build more partnerships with more gym owners. For example, if you work to build relationships with 4 gym owners and do body composition testing once a month at each, now you’ve got a place to test people and promote your business outside of your store once a week. As a nutrition store owner, you provide vitamins, supplements, and wellness products to the community. The baseline expectation of your customers will be that you have what they want in stock, whenever they come into your store. But if the only service you provide is just being a place where people can buy products, slowly but surely, you are going to lose traffic and profit to the internet. Once one of your customers experiences how easy it is to order online, they’ll start ordering online all the time. Why wouldn’t they? As a nutrition store owner, you know your products inside and out. Every product is in your store for a reason, and if someone tells you what their goals are, you know exactly which one to recommend. But today’s customers are smart. They know how to research online, and they will probably come into your store thinking they know what they want already. Be the expert. Use their individual body composition results to guide your recommendations. Not only are you creating opportunities for yourself to upsell and move more products, but you’re also providing personalized service with someone’s actual body composition results. No website can do that. Time is valuable. Your customers are busy people with busy lives, and like anyone else, have to decide when and how to use their time. Make your customers want to spend a small amount of their valuable time at your store. To do that, you have to give them a reason to, and not just to buy more products when they run out. Host events at your store like fat loss challenges. Get them interested in coming back. Offer them a prize to keep them engaged. The more you get people interested in coming through your store, the more opportunities you have to prove your value and sell. Whether you realize it or not, you are part of a greater network of like minded businesses that can compliment each other. You just need to tap into it. Get involved with businesses in your local community, and use your body composition analyzer as the vehicle that opens the door to the relationship. You have a valuable resource – share it. Every person you test becomes a potential customer of yours. By being out in the community, you will begin to build a reputation for yourself as the go-to person for supplements and health information. You will begin to be much more than simply a storefront and a place where people pick up their protein powder once a month. You can become the person that people come to for the information and products that impact their lives. You can offer advice, plans, and products that make people healthier and happier. That’s superior customer service. And that, no matter how technology improves over time, is something people will always want. Losing weight is hard. It requires working out regularly, making sure you get enough nutrients in your diet ( like protein). If you’re like most people, you want to see results that justify your hard work. And that result, more often than not, has to do with seeing that number on the scale go steadily down. So you step on the scale every day because you need a reason to keep going. Everything is fine until the unthinkable happens: the scale stops going down. Or, after one “cheat day” you find yourself 8 pounds heavier and you think, “Oh no! Everything I’ve done for the past 2 weeks is for nothing!” Repeat this a few times and before you know it, you’ve given up on working out and you’ve dumped your diet. The truth is, you were probably making progress before you quit. Don’t give up. You probably just got discouraged because you did what no one should ever do: you let the scale trick you. Here are 5 reasons why you scale is a terrible tool for weight loss and how it can make you give up. It’s a safe bet to assume that when people want to lose weight, what they really want is fat loss. The problem is, many people use the words “weight loss” and “fat loss” interchangeably, which are two separate concepts. When you lose weight, you lose more than just fat. Muscle and water (in addition to water weight) are two major components that make up your weight, and when you lose weight, you can lose some of each. How much of each you lose depends in part on how much fat you have to lose when you start. Heavier people have more to lose than thin people, and they will lose more weight from fat than muscle than thin people. You can drop weight but dropping actual fat takes time– more time than you think. Many people set fat loss goals for themselves that are unreasonable. The truth is, without going on an unhealthy near-starvation diet, you can only expect to lose 1-2 pounds of fat per week at best. Don’t expect to lose 10 pounds in a week, because even if you do, it’s not going to be all fat. Losing muscle is not good for your health, and you will want to preserve it as much as you can. Glycogen is a short-term energy source that your body taps into when it needs immediate energy. Although it is produced from many different types of foods, foods rich in carbohydrates like bread trigger glycogen production more than any other food source. It’s a very good energy source, so much so that this is the major reason why marathon runners have “pasta parties” the day before the race: it’s to fuel up on glycogen! You might also know this by another term: carb-loading. The Atkins diet and other diets similar to it (ketogenic, paleo, etc.) revolve around one major concept: restricting carbohydrates, and by extension, glycogen. Once your glycogen levels become depleted, there is less water for the glycogen to bond to. This is why many people who go on ketogenic-style diets appear to lose pounds very quickly: much of the initial weight loss is simply water. Here’s a common situation that everyone has probably experienced at least once: after going on a strict diet (most likely low in carbs and high in protein) for a couple of weeks, you treat yourself to a weekend where you ate all the carbs that you missed so dearly. Weighing yourself monday morning, you find that you’re 8 pounds heavier. Sad face. Good news: you didn’t waste any of your hard work! It’s glycogen that’s fooling you and it’s mostly just water weight. It’s deceptively easy to refuel yourself on carbohydrates and replenish your glycogen levels. A typical endurance athlete, for example, requires around 500-600 g of carbohydrates a day to perform at optimal levels. Since many popular foods are so rich in carbs, it’s not very hard to refill your glycogen stores in a day if you aren’t watching your carb intake, or are choosing not to for a special occasion. By refueling on carbs, you’re replenishing your glycogen levels, and water is binding to it. So, you haven’t sabotaged your goals; you’ve probably put on water weight. Watch how fast you will lose body water again if you reduce your carbohydrate intake. Salt (or more accurately, sodium) is everywhere and extremely hard to avoid. It might not surprise you that a single patty cheeseburger contains over 500 mg of sodium (nearly a quarter of the daily recommended levels), but would you be surprised to know that the ranch dressing you’re putting in your salad contains over half that, as much as 270 mg? Or that a tablespoon of soy sauce that you’re using in your healthy, vegetable-only stir-fry has 879 mg of sodium? Little surprise that the Mayo Clinic estimates that the average American consumes about 3,400 mg of sodium a day: close to double what’s recommended. Sodium is linked with water retention, and it is the job of your kidneys to expel unneeded sodium out of your body. Until your kidneys are able to do that, you will temporarily be holding onto extra water. If your daily water and sodium intake habits change from day to day, this can contribute to water retention, which will cause fluctuations in your daily weight. So, if you were on a diet but flooded your body with more salt than you normally have, you can expect to see a temporary increase in weight. It doesn’t mean that all your hard work is for nothing; it just means that you’re experiencing additional water weight because of the extra sodium in your body. If you’re strength training as part of your strategy to reduce your body fat percentage, you’re doing something right! Adding resistance training (or any type of strength training) to your fat/weight loss plan is a great way to protect and preserve muscle loss as you subtract fat from your frame. However, if you’re new to weightlifting and you’re pushing yourself hard, you’re going to see the number on the scale go up! Why? This is because as you are losing fat, you are replacing that weight with muscle. Your weight may not go down, but your body fat percentage will. For example, let’s take a 117-pound woman and assume she has 38.6 pounds of fat mass, 78.4 pounds of Lean Body Mass, and 42.3 pounds Skeletal Muscle Mass. That’s consistent with a body fat percentage of 33%, which is slightly over the normal range for women (which ends at 28%). Now let’s take that same woman and say that she begins a comprehensive fat burning program that includes dietary changes, cardio, and strength training. After 3 months, she now has 32.6 pounds of fat mass, 84.4 pounds of lean body mass due to a 6-pound increase in SMM. She still weighs 117 pounds, but now her body fat percentage is 27.8% – a big drop from her previous result of 33%, which brings her into the normal/healthy range. You may be thinking right now “Oh, but this woman would know that her efforts were successful because she should look different and feel different with 6 pounds of fat loss and a 6 pound gain in skeletal muscle mass.” But remember, it took her three months to get there. Do you think she would looked and felt different right away, with only a scale to measure her progress? Without measuring your body composition, would she have known if that she was making any progress in skeletal muscle mass gain or fat loss after, say, one month? 6 weeks? You can imagine the frustration she could have felt by not seeing the scale move at all. She would probably give up before she reached the three month mark. This is why measuring body composition is so important. If you’re weighing yourself whenever you feel like it without being consistent in terms of what time you weigh and what you’ve done during the day up to that point, the scale is going to mislead you every single time. Generally, people’s weight increases during the day due to the food and drinks they consume. Food and drinks also produce waste, which can also lead to additional weight gain throughout the day. Naturally, this weight gain is temporary, but if you weighed yourself in the morning on an empty stomach, and then without thinking weighed yourself 5 days later in the middle of the day, you can’t compare those weights against each other. Also, if your diet has changed in between your weigh-ins, that can cause significant weight changes. Did you eat an unusually large amount of carbs the day before? You could potentially see very large swings in your weight. But if you remember how glycogen bonds with water, this won’t bother you anymore because you’ll understand that it’s just water weight. Did you just finish exercising? You probably lost some water, leading to temporary weight loss. Were you drinking water while you were working out? Your muscle cells may have absorbed some of it, causing your weight to respond accordingly. If you are going to rely on the scale, make sure you weigh yourself under similar conditions everytime. Don’t let the scale trick you! There are so many things that can affect your weight, so you should never get into the habit of weighing yourself every day. So if not that, what should you be doing? As difficult as it sounds, if you are using just a scale to determine your progress, you have to space out your weigh-ins. If you still aren’t seeing weight changes in that period of time, you need to take another look at your diet and exercise plans and potentially make some adjustments. Because your weight is made up of many different elements and can fluctuate for so many different reasons, assessing your weight by tracking your body composition is a much better way to determine how you’re meeting your goals. Don’t let the scale trick you! If you diet and exercise properly with enough patience and determination, you will reach your goals.